Finland is set to celebrate its 100th birthday with a pair of giant pandas, loaned by China as a gesture of friendship and goodwill. The Finnish and Chinese presidents agreed the deal during a visit by Xi Jinping to Finland on Wednesday. Agriculture Minister Kimmo Tiilikainen confirmed the agreement to Yle after a press conference during which no questions were permitted. "As far as the Agriculture and Forestry Ministry is concerned, this is the high point of international co-operation for the centenary," said Tiilikainen. The pandas are set to arrive at the end of this year and will be hosted at Ähtäri Zoo, an animal park in South Ostrobothnia. 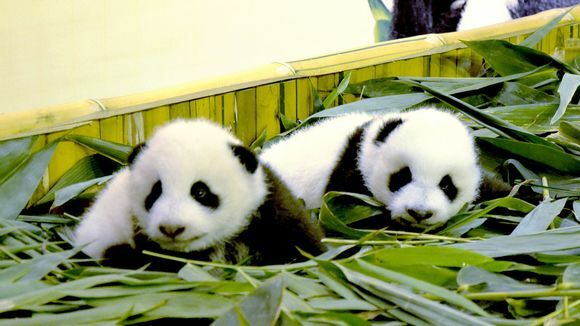 Leading panda experts from China will travel to Ähtäri to help construct a panda centre. The Finnish climate is similar to that in the pandas' habitat in the Qionglai mountains, where snow is not unknown. President Sauli Niinistö lauded the panda deal in his remarks at a joint media event. "I want to thank President Xi for his trust that the pandas will be protected in Finland," said Niinistö. "We know that pandas are a national treasure for China, and we will treat them with honour and respect." At the last count there were some 1,864 pandas in the wild, and 464 in captivity. That's a big leap from a decade ago, when there around 1,600 in the wild and 160 in captivity. The Ministry of Agriculture says that the increase is a result of intensive conservation efforts. In addition to pandas, Finland and China also inked agreements on innovation and legal co-operation, and pledged to exchange best practices in winter sports ahead of China's hosting of the Winter Olympics in 2022. Finland also committed to the 'one China' policy, meaning that Finland officially recognises the People's Republic of China—not Taiwan.